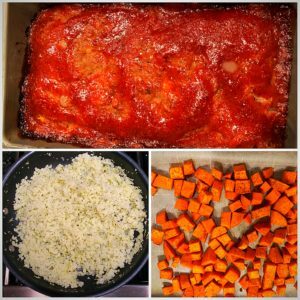 Here is a great meatloaf recipe that is combined with sweet potatoes and cauliflower rice to make not only a delicious, but also well-balanced, meal from a carbohydrate, protein and fat standpoint! Great fall or winter meal! 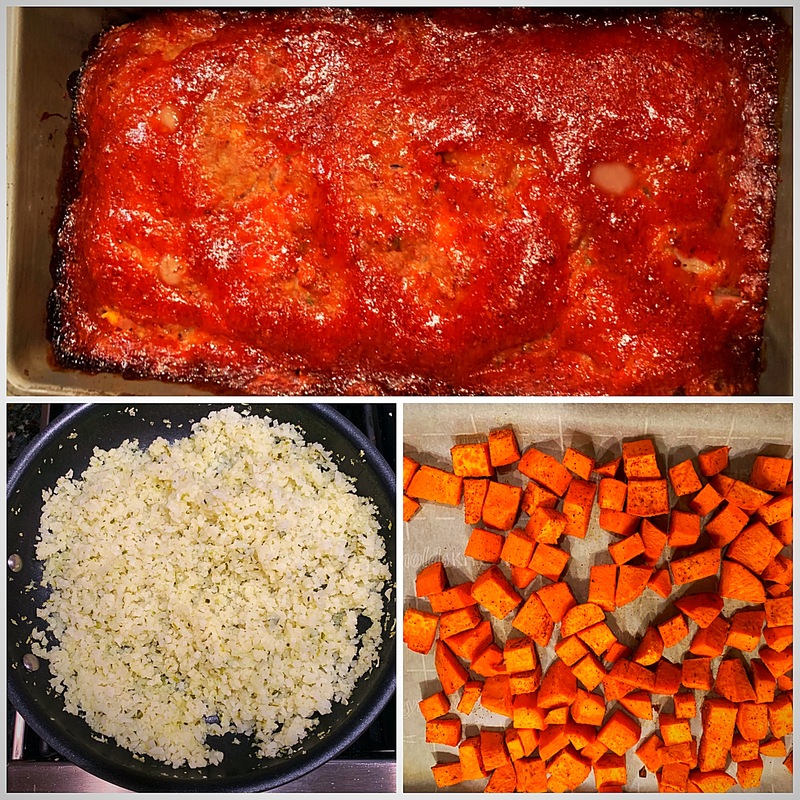 While meatloaf is starting to bake combine sweet potatoes ingredients into a large bowl and mix. Place on a cookie sheet or roasting pan and place in oven with meatloaf for the remaining 40 minutes. When there is 20 minutes left, stir the sweet potatoes. When there is about 10 minutes left for the sweet potatoes and meatloaf, saute the cauliflower rice and oil in a skillet till all of the water from the cauliflower is cooked off. About 5 to 7 minutes at medium-high heat. When water has been cooked off, take off heat and add salt, lemon and parsley and serve with meatloaf and sweet potatoes. Interested in learning more about LightenUp Lifestyle Improvement Program? Click Here!